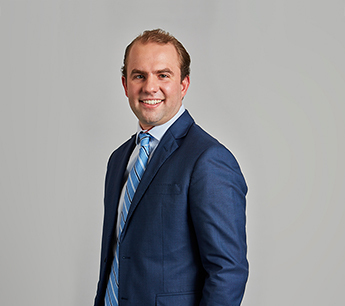 Thomas ‘TJ’ Cholnoky joined RKF as a Canvasser in 2014 and was quickly promoted to Associate. He works as a member of brokerage teams representing both landlords and tenants in Manhattan. TJ is currently representing various landlords on high-profile leasing assignments Taconic Investment Partners, Stonhenge, AR Global, Hines, XIN Development and MetroLoft, among others. He is also the leasing agent in Manhattan for 751 Sixth Avenue, 615 Tenth Avenue, 180 Water Street, 9 Times Square and 20 Broad Street. His most notable recent transactions include leasing approximately 16,000 SF for CVS at 2839 Broadway, 29,000 SF to Target at 615 Tenth Avenue, and 7,406 SF to Theory at 47-49 Greene Street in SoHo. Prior to RKF, TJ worked as a proprietary equities trader at T3 Trading Group, LLC where he evaluated macroeconomic trends, addressed sector rotations relative to US Equity Markets and employed long/short equity trade strategies. TJ earned a Bachelor’s of Science in Economics from Trinity College. He is a licensed real estate salesperson in the state of New York and a member of International Council of Shopping Centers and the Real Estate Board of New York.